I really love having these accessories because they make the pressure cooker even more versatile. The following pics show you how I cook my sweet potatoes. 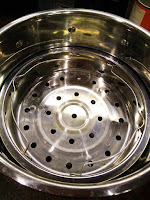 We make them weekly for our dogs as well as for ourselves. 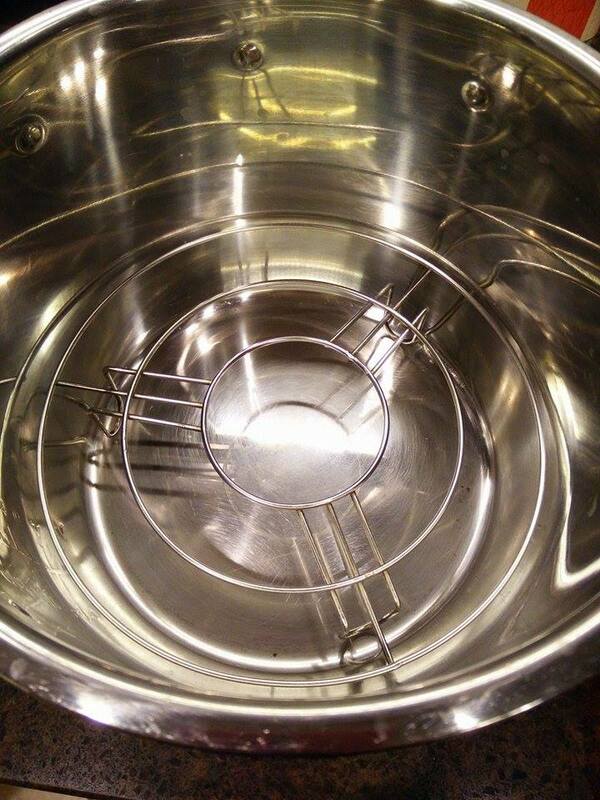 I add about 1/2 to 1 cup of water to the bottom of my stainless steel pot. 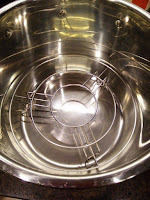 Then, I place the stand inside the pot with the steamer basket on top of that. 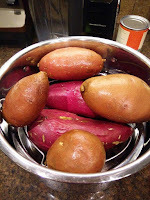 I add the potatoes and pressure cook them from 15-18 minutes (with natural release), depending on how big they are. After they are cooled, the skins literally slip off of them! Thanks for the awesome tip! Hope you are enjoying my Mrs. Plant food blog!